“Winds of Romanticism,” Aston Magna’s second concert of 2014, presented Thursday at the Slosberg Center at Brandeis referred literally to the two wind instruments featured at the start and end of the program, but also metaphorically to the gusts of bracing and occasionally hot air that blew through an early Mendelssohn string quartet (to be repeated in Great Barrington and Annandale-on-Hudson in coming days). Bernhard Crusell was born in the town on Uusiakaupunki in the musical backwater of Finland in 1775. His ticket out of Finland, and ultimately to Stockholm, was his facility on the clarinet, which earned him significant posts in his adolescence. His music is known well to clarinetists seeking repertoire between Mozart and Brahms that isn’t Weber, but to few others. His works usually display a genial, even bubbly personality in their fast movements, a dramatic singing quality in their slow movements, and a gleeful willingness to disregard the shortcomings of the wind instruments of his time when writing fast passages. Aston Magna offered Crusell’s relatively early Divertimento for oboe and strings, Op. 9, written when the composer was in the prime of his career. The piece falls into three sections; the first and third sections are marked allegro and share the same musical material, most memorably the busily ingratiating opening theme; the second is an adagio non lento with hints of opera. Its aims were modest but charming, music that elicited a smile as soon as you heard it but which quickly departs once it ends. 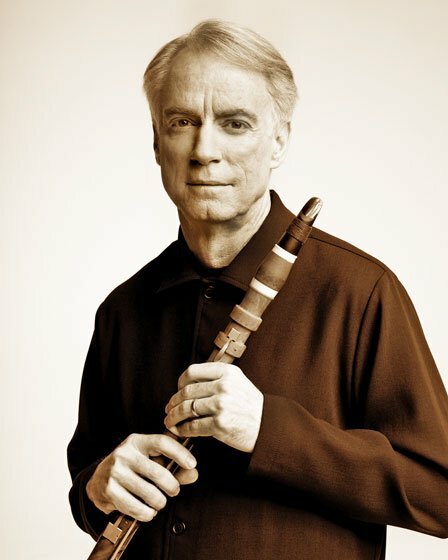 Stephen Hammer played a classical oboe which was lacking enough keywork to make the more elaborate passagework audibly and visibly challenging as he nimbly executed the constant split fingerings. The challenges surmounted, Hammer’s lively sense of humor maintained the amiability of this divertisment while retaining just a hint of danger, thereby rescuing it from the merely decorative. Hammer was ably supported by a quartet made up of Artistic Director Dan Stepner and Julie Leven on violin, David Miller on viola, and Guy Fishman on cello. They took the spotlight for Mendelssohn’s String Quartet in A Minor, Op. 13. Mendelssohn was 18 when he wrote it, and it shows him wrestling with the titans of the past while forging his own voice. It is at times masterful, and occasionally turgid. It is dense, filled with episodes of imitative counterpoint evoking Bach and muscular outbursts inherited from the late Beethoven quartets, all expressed in an early romantic idiom that is on the verge of being individual. It is also formally idiosyncratic, integrating motifs across all movements, ending movements in major rather than minor, quoting from songs much as Beethoven did in his Op. 135. It is more than a little overstuffed, and the Aston Magna players presented a fascinating performance. When faced with music that is trying to do so many things, one can attempt to tame the work, to edit through interpretation. Instead, the players invested the music with the same passion one imagines the young Mendelssohn had while writing it, an approach that succeeded in displaying both the genius of the writing as well as its ungainly moments. The romantic sweep of the first movement was breathtaking, if a bit tiring by the end. Moments of quasi-fugal writing were played with precision and balance, which did not prevent them from tilting into congestion at times. One could feel Mendelssohn’s struggle, even though the surface of the music rarely belied it. The final work, Brahms Clarinet Quintet, would seem to push the limits of Aston Magna’s original instrument mission, but the result was revelatory. Brahms wrote the Quintet in 1892 after encountering the playing of Richard Mühlfeld. 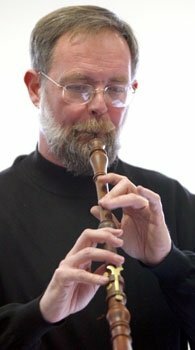 Clarinetist Eric Hoeprich was playing a boxwood clarinet modeled on one played by Mühlfeld, which was already somewhat out of date. Unlike Hammer’s classical oboe, Hoeprich’s clarinet was technologically not that far different from the modern clarinet, missing only a few keys. What it did have was a distinctive voice, a clear tone that blended uncommonly well with the gut strings of the quartet, and a light-footed responsiveness. I have never heard the Quintet played with such a sense of integration. Hoeprich could effortlessly sail above the strings when necessary; but in the many passages where the clarinet supports the quartet, he neither dominated nor disappeared, but gently subsided into the texture. Playing without vibrato, Hoeprich used the instrument’s dynamic flexibility as his primary expressive device, shaping melodic lines with relative volume, often ranging widely within a single phrase without distorting the line. The quartet played alertly and with acuity, bringing a youthful sense of play and attention to a work that in lesser hands acquires a sleepy, generic “autumnal” tone. The tempi were brisk throughout, the second movement’s gentle sway and singing secondary melodies suggesting a barcarolle. Hoeprich attacked the outbursts and arabesques of that movement fearlessly—almost recklessly; as they grew more heated you could hear him testing the limits of the instrument. In the same movement, Stepner and Leven produced a muted sound on gut strings that was both sweet and ghostly, even otherworldly. The last movement’s variations gave all of the players a chance for some discreet display—cellist Fishman gave a muscular sense of stretch to the great leaps of the first variation. All three works on the program returned to their initial materials as they came to a close: Crusell’s in a more or less a varied restatement to provide balance, Mendelssohn’s as a tying up of a structural edifice. On this evening, Brahms’s restatement was a true arrival home, a distant memory suddenly vivid, and then just as quickly gone. Until this concert, I’d never seen a clarinet player switch instruments (using only one mouthpiece) for a short passage as Eric Hoeprich did, briefly taking advantage of the 2nd horn’s lower range. Wow. As a once-and-sometime amateur clarinetist, I’ve heard no one better at creating the ideal sound of the instrument in works from the 18th and 19th centuries.